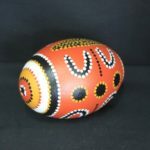 Why Buy From an Aboriginal Art Centre? Cora is new to Yamaji Art, only recently joining in early April 2018. 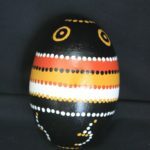 Cora has shown great enthusiasm for her artwork and loves to share stories of her culture and family. 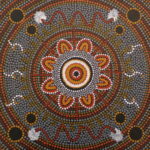 Daughter of well know artist Norbett Ngwarraye Lynch and Grandaughter of the famous artist Winton Rubuntja. 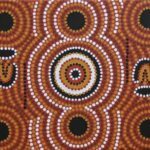 Born in Alice Springs Central Australia and raised in surrounding remote communities; Blacktank community, Yamba Station, Laramba Community, Larapinta valley. 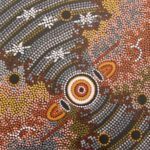 Through her Fathers tribs she is of the Central Arrernte, Anmatjere and Alyawarra peoples of the central desert lands. 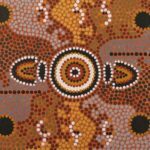 Through her Mothers she is a Yanunytjatjarra Anangu of the south west Anangu lands of South and Western Australia. 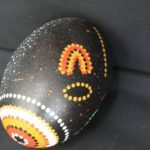 Cora has been painting all her life and grew up within the start of the Aboriginal art movement in the mid to late 80s. 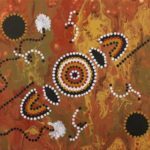 Cora’s inspiration comes from her father and grandfathers, the traditional stories of lore and culture that was handed down to her from her elders. 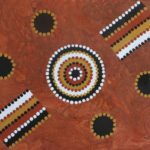 Cora’s traditional paintings tell of the dreamtime stories, the lore, culture and people in how we connected and still connect to our country both spiritually and physically. 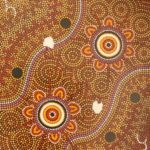 Travelling through country, sustaining a living off the land, building connections to peoples, places, animals, plants and country. Through language and culture. 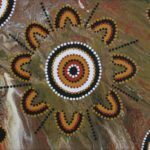 Cora feel’s a spiritual connection to her traditional art and feels privileged to have had these stories handed down to me as she continues on my fathers and grandfathers legacy. 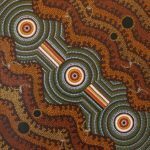 The CORKWOOD DREAMING COLLECTION -NGWARLE UNTYE. 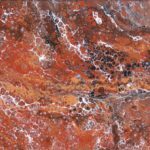 I not only do traditional works of art but have been inspired in recent years in life to express my creativity and expand into the more modern contemporary art forms. 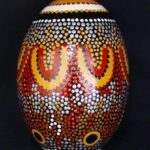 I look forward to working with the Yamaji Art Centre and feel excited about my journey in creating all forms of Art both Traditional and Modern.